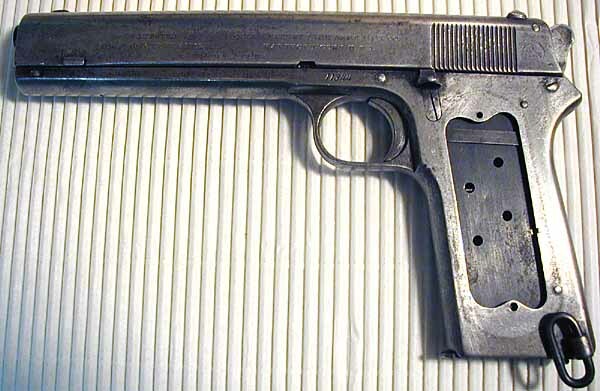 Model 1902 Military Serial Number 11560 Marina de Chile Contract - The largest single shipment of Model 1902 Military pistols was a shipment of 500 sent to Chile, through Colt's London Office on April 10, 1906. Many were in the 11,000 serial number range. This shipment is believed to have been sent to Chile for use by the Chilean Navy. 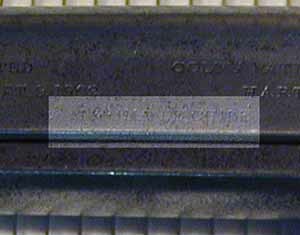 These pistols have British Proof marks and were roll marked "MARINA DE CHILE" after leaving the factory. 1902 Military serial number 11560 - Close-up of MARINA DE CHILE marking on left side of the slide. 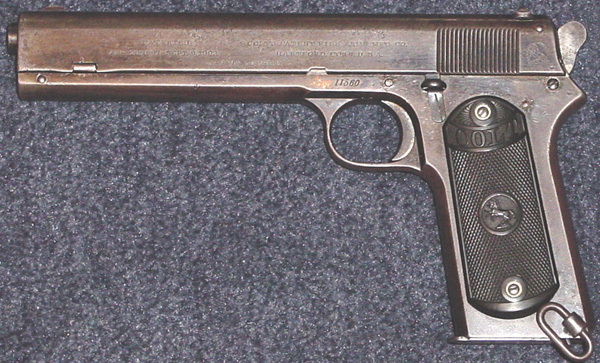 Model 1902 Military Serial Number 11344 Marina de Chile Contract - The largest single shipment of Model 1902 Military pistols was a shipment of 500 sent to Chile, through Colt's London Office on April 10, 1906. Many were in the 11,000 serial number range. This shipment is believed to have been sent to Chile for use by the Chilean Navy. 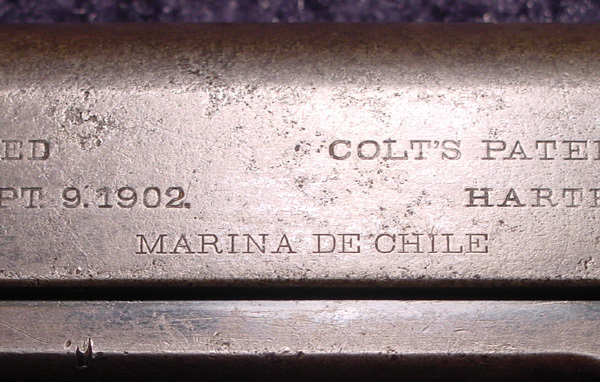 These pistols have British Proof marks and were roll marked "MARINA DE CHILE" after leaving the factory.